I have to admit I think this is my favorite in the series. 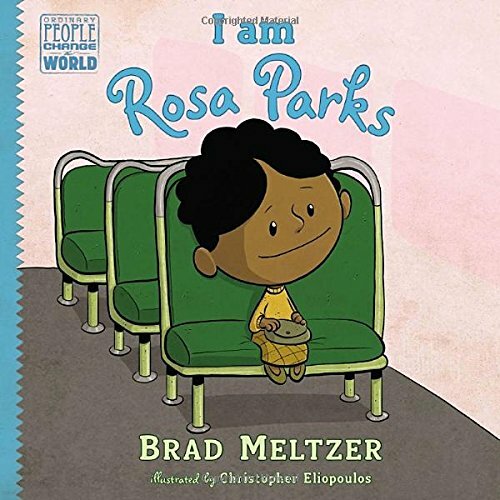 I love how Brad Meltzer personalizes the story of Rosa Parks. 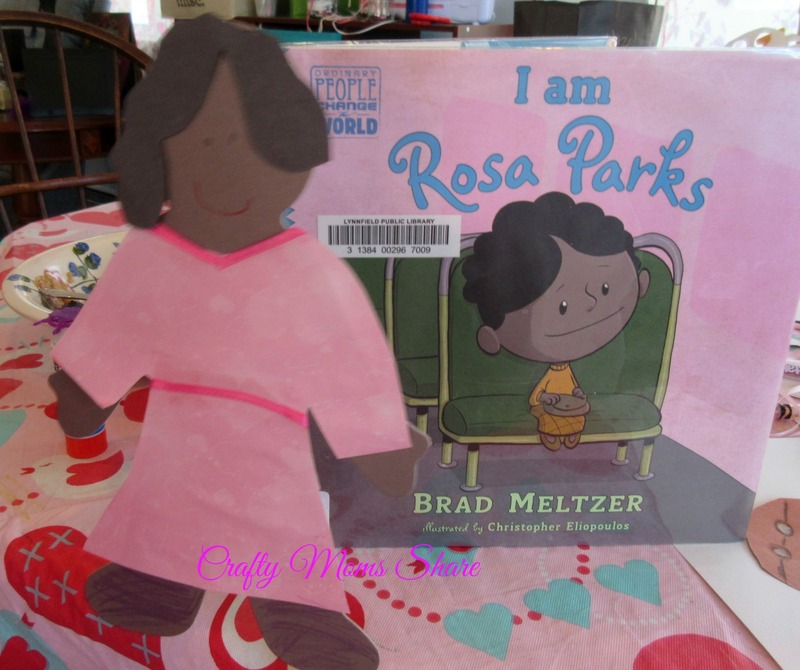 We have read several books about Rosa Parks and Hazel certainly knows her story, however this version made her more real to me. Perhaps it is the illustration of her younger brother throughout the book asking if it is time to shout "Hooray!" and her explaining it is not, but something hit a chord with me. 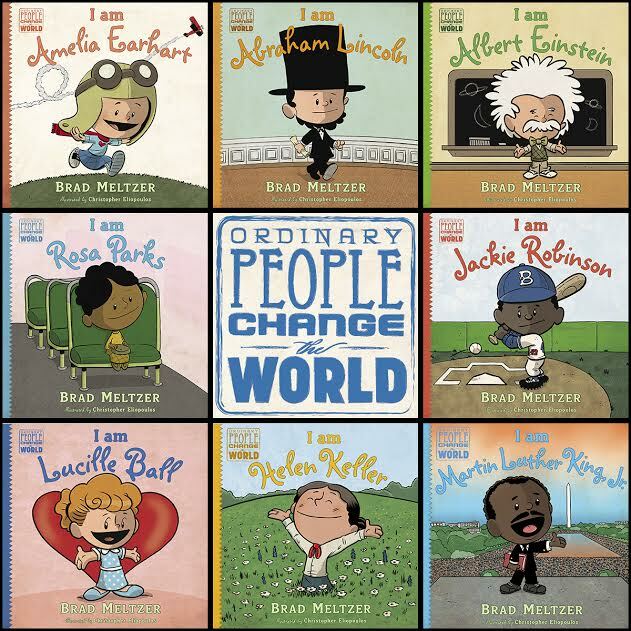 Throughout the book the inequality of segregation is explained and demonstrated and one sees how strong and courageous Rosa Parks truly was. I have heard and read many different reasons about the bus incident and this book actually addresses the versions. I love how it really portrays the story with the facts and tells it at a level younger kids can get. 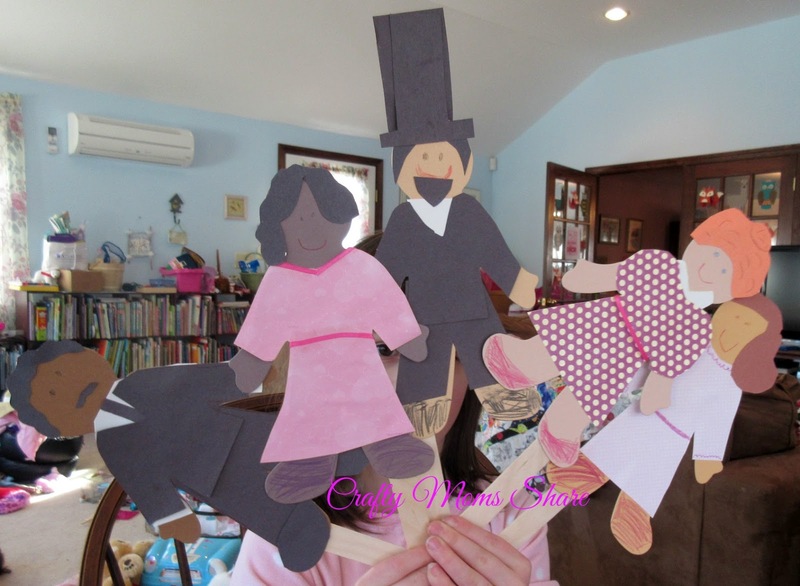 We of course made a Rosa Parks puppet to go with our collection. And yes, Hazel needed them all to be holding hands. So far we have also reviewed Abraham Lincoln, Lucille Ball, Martin Luther King, Jr., and Helen Keller. 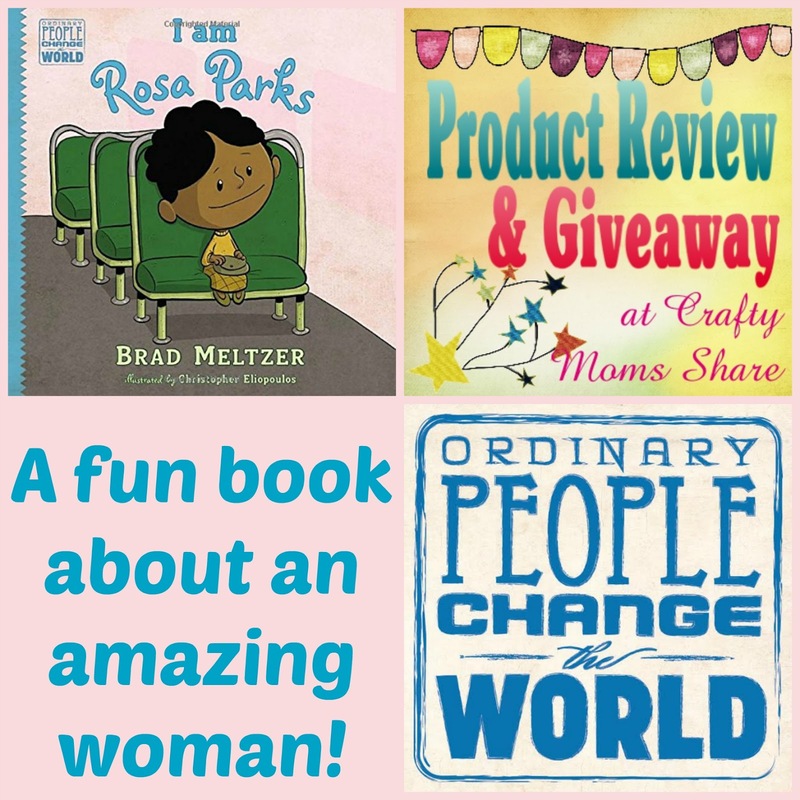 We will share the other three books between this week and next. I hope you will join us!! 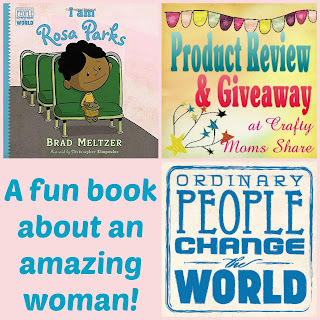 Win all eight book in the series!! Runs February 1-29 and is open to US Residents only!